Miss Zelie is officially a month old today!! This is basically where she spends all of her time, and it has been so, so healing for my heart. 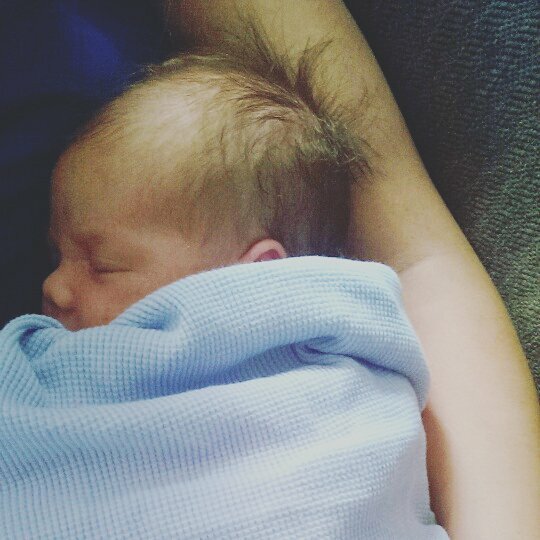 High time for a birth story! So, just over a month ago (on June 19), I was 37 weeks and 5 days pregnant and....soooo done. Anyone who talked to me knew I had felt that way for weeks. My hyperemesis gravidarum got worse again in my third trimester (although not as bad as it was in my first), and I was up to sticking myself with a needle at least twice a day, because my body was not happy with my Zofran pump. My doctor sympathized, and since I had been measuring ahead for so long AND was already dilating and effacing and had been having prodromal labor...he suggested stripping my membranes (i.e. separating the bag of waters from the wall of the womb). He said if I was actually ready to deliver, it would kick start labor. Worth a try! Over the next 24 hours, I kept having stretches of contractions, but it didn't seem to be turning into anything. A little before 9:30 on Tuesday morning, I felt some painful contractions, but assumed it was more prodromal labor. Andrew wanted to replace the bathroom fan, so I said he could go to Lowe's and buy a new one. I would take the girls to swim lessons. In the meantime, I worked on switching the clothes around in the girls' new dressers, but I had to keep stopping to squat through contractions. It was taking forever because I was getting contractions every minute, and they were getting more painful. 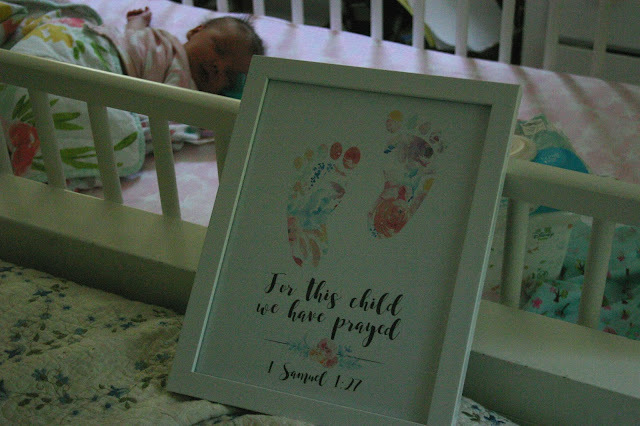 Maria's labor had been only four hours long and I was convinced I wouldn't have another precipitous labor like that. But I realized I should probably time the contractions... just in case there was a pattern. There was a pattern. They were about a minute long, less than a minute a part, and not letting up. "Still having contractions, but probably nothing." "Maybe something. Kind of hurts." "Call the babysitter. Maybe head home." "Come home now! We need to go to the hospital!" As soon as the babysitter arrived, we headed to the hospital. We got there around 11:30 a.m. and I waddled in to triage while Andrew parked the car. It took forever for them to check me in, because the contractions were so close together. Then, the nurse checked me. I was 5-6 cm. Definitely in labor! I pulled out that Zofran pump almost right away. So glad! The next couple hours were a blur. I wanted an epidural because this labor was as intense as Maria's, and I had barely managed that one. I had never had an epidural before, but I had had daily pain with the Zofran pump for the past six months, and I felt like God was calling me to humility... I needed help managing the pain, and that was ok. The epidural came while I was already shaking in the pain of transition, and it was bliss. Zelie's heart rate dipped, though (probably because I wasn't squatting anymore!) so they had to give me some oxygen. They checked me right after they got the epidural in (around 12:50 p.m.) and I was already 8 cm! Almost complete. The doctor was called, and by the time he came in, I was ready to push. "How long did it take you to push out your other girls?" he asked. "Oh, around half an hour," I told him. "Oh, okay...so we have time! Okay, give me a practice push. Let's try in this position. Okay, good! I can see the head. Do you still feel like pushing?" I did. "I can see her face!" Andrew said. "Wait!" the doctor said. "I need to get on my gloves! I'm not ready!" "I can't wait!" I said. And out popped Zelie Jane...and a huge gush of amniotic fluid all over the floor and the doctor. "I just got these shoes yesterday!" he joked. I heard a little cry, and they placed her tiny newborn self on my chest. She had a headful of dark hair and was so perfect. 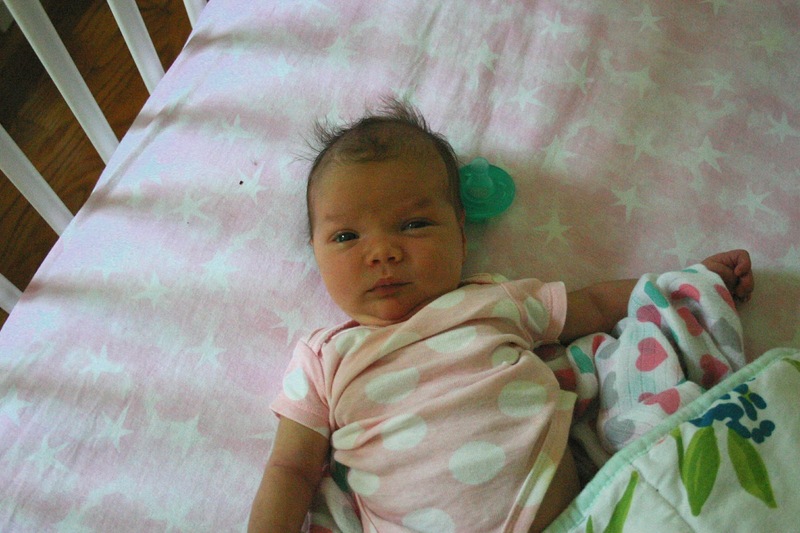 She wasn't pinking up, though, so they took her over to her bassinet and rubbed her vigorously. Her heart was going strong, but she laid there not really breathing, and bluish. Then all the nurses and doctor's pagers beeped. "Wait," my doctor said, "Who called a Code Blue?" "Is she alright?" I asked. Simultaneously, I begged Gabriel to pray for her. She pinked up enough that she didn't need to go to the NICU just then, but they were going to come back and check her in half an hour. I spent that half hour doing skin to skin and getting her to nurse a little, and within a half an hour, she was doing well and got to stay with us. Hooray! I was so grateful for her big brother's prayers. A few hours later, her godparents brought her sisters and it was love at first sight! Oh Michele she is so, so beautiful!! !